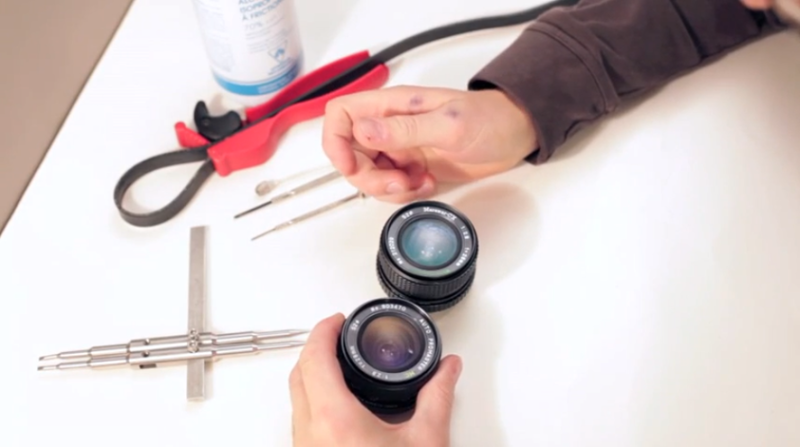 This video shows how one can disassemble, repair, and reassemble these Promaster MC and Marexar CX MC 28mm 2.8 lenses. The problem is not always the aperture but more likely just the mechanism in the read mount that gets sticky from old grease. Posted in 28mm Lens, Blog, Marexar Lens, Pentax K Mount, Promaster Lens, Repair Lens, Wide Angle Lens and tagged with 28mm 2.8 broken, fix aperture oil, Marexar oil aperture 28mm f2.8, oily aperture repair, Promaster 28mm 2.8 oil aperture. RSS 2.0 feed.